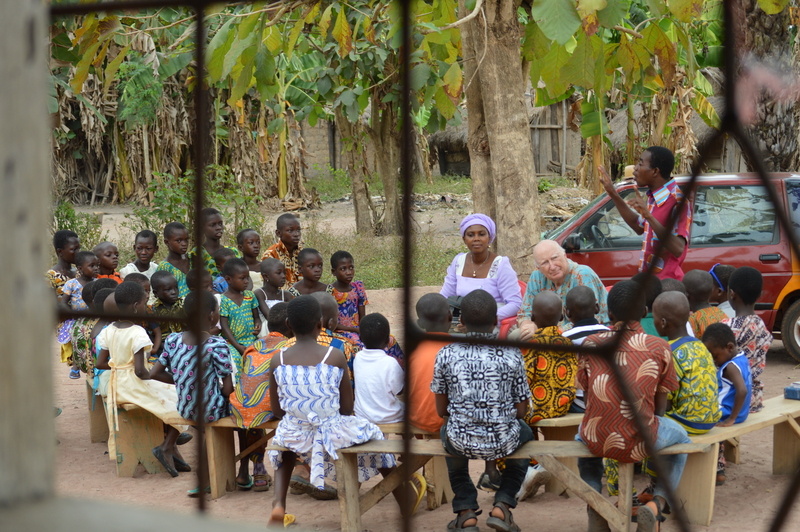 Gary Grace organizes an impromptu Sunday School and captivates children with God’s word. Allow the little children to come to me, and don’t hinder them, for of such is the kingdom of God. In our last three weeks of ministry here in Ghana we’ve seen the great need for Bible teaching designed to reach children with the gospel and the simple truths of how to walk with Jesus. Americans hear this quote, or some variation of it, a lot. Change, transformative progress, begins when we take personal responsibility to participate in the process. It’s the common thread that runs through Michael Jackson’s Man in the Mirror song and JFK’s ‘Ask Not ‘ speech. Martin Luther King embraced it in his famous, ‘I Have a Dream’ speech. We want to be part a solution that taps into the hearts of children in Ghana bringing the good news of Jesus Christ and the transforming truth of God’s word to their lives. We came here fourteen years ago to teach the Bible to adults who would return to their home communities and teach others. That has been very fruitful, now we’re looking for ways to help reach children. Can you help direct us to organizations and resources? Do you know any organizations or churches that have comprehensive programs for children? Please leave a reply in the comments section and we’ll follow up within two weeks. Loved this post! It is a beautiful reminder that we are not just supposed to talk about our faith but we are to walk it out in the actions of our daily life. My daughters went to Ghana on a school service trip when we lived in Doha, Qatar and fell in love with the beautiful children there. Be blessed and find a way to bless someone else today! Sue Spillman would be a great resource. She has just left her position as State Director for CFC. Hurry home, we miss you!